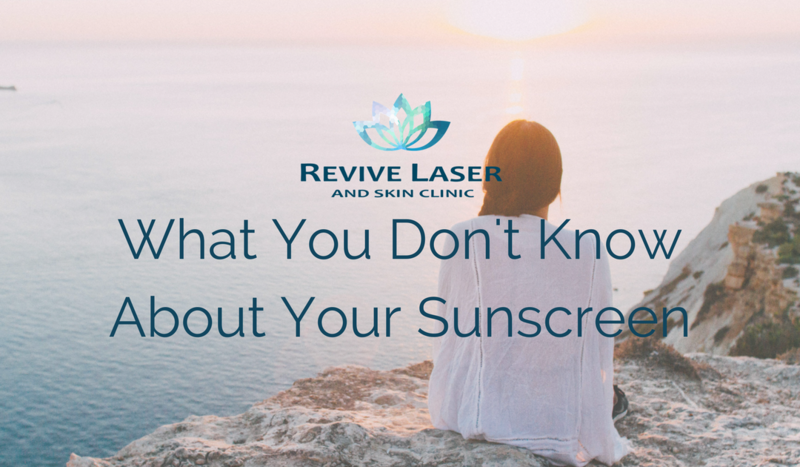 What You Don’t Know About Your Sunscreen! We have great sun care tips and educational reasonings to help you understand how to better your skin care routine! Get in the know and book a consultation with us to have a full examination of your skin. Most sunscreens are a mixture of chemicals that get absorbed into the skin, they protect you by scattering the sun’s rays so you don’t burn. You normally purchase these from your drug store and they have a list of approximately 12 chemical ingredients that your body soaks up. You’re advised to wait 20 minutes after applying before sun exposure so these chemicals can become fully effective. Physical sunscreens use a natural mixture of titanium dioxide and zinc oxide. Once applied to the skin the combination of the two ingredients work together to completely reflect the sun’s rays. There is no waiting 20 minutes before sun exposure like chemical sunscreens, physical work immediately and they don’t break down like chemical sunscreens do! If you have sensitive skin, applying a mixture of chemicals that are being fully absorbed is probably not a good combination. As we’ve seen in the news recently, baby’s skin is the most sensitive there is and chemical sunscreens have been known to cause bad burns and skin irritations. Physical sunscreens sit on the skin’s surface and are not absorbed, the likelihood of getting a reaction from a natural product is much less than a product that is synthetically made. Most chemical sunscreens only protect you from UVB rays since these cause burning. While burning is bad so are UVA rays, they pass through the skin’s surface causing damage to new cells. This depletes your collagen and elastin which is when you develop sun spots, wrinkles, and sagging skin. Physical sunscreen with titanium and zinc protect you from both UVA and UVB rays. Sunscreen labels are misleading, especially on children’s bottles. They advertise that they are water and sweat resistant because the FDA will not allow them to be called “waterproof” anymore. Does this mean that your protected while you play in the water? Possibly. Companies now need to label a time limit on the protection they provide while submerged in water. This can range anywhere between 40-80 minutes, however, it’s almost impossible to gauge this accuracy. Re-applying as soon as you are out of the water is a MUST! High SPF – Do They Offer More protection? Many chemists agree that high SPF ratings do NOT offer more protection. SPF15 protects you against 93% of UVB rays, SPF30 blocks 97% and SPF50 is 98%. Anything higher than SPF 50 is only marginally higher in UVB protection but when people see the higher SPF they are getting a false sense of more protection. People who apply stronger SPF are less likely to re-apply and more likely to stay in the sun longer. Sun damage can take place without seeing an actual burn so applying SPF is only one piece of a good sun protection regime. SPF clothing, limiting sun exposure, sunglasses and hats are all vital to protect your skin. It is important to find a good UVA/UVB sunscreen with at least an SPF 30 rating and no higher than 50. The combination of Zinc Oxide and Titanium Dioxide will give you the best protection, won’t cause skin irritations and are safe for the whole family to use. 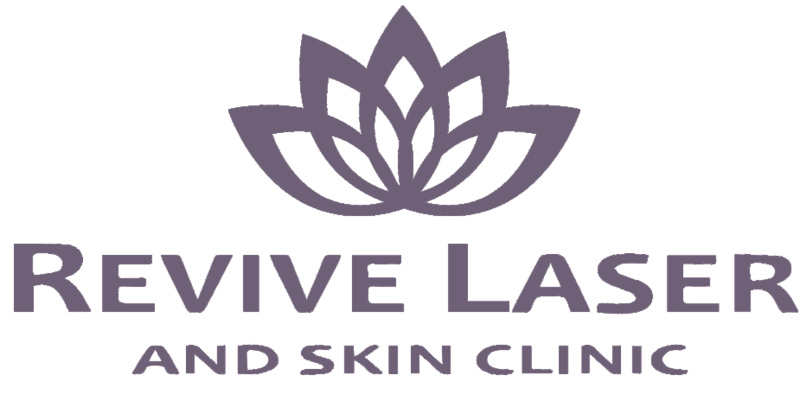 At Revive Laser we have a variety of physical sunscreens that are formulated to work with all skin types.